Here we are... September: it’s fashion week time! And finally we can take a peek at the Spring Summer 2019 previews! 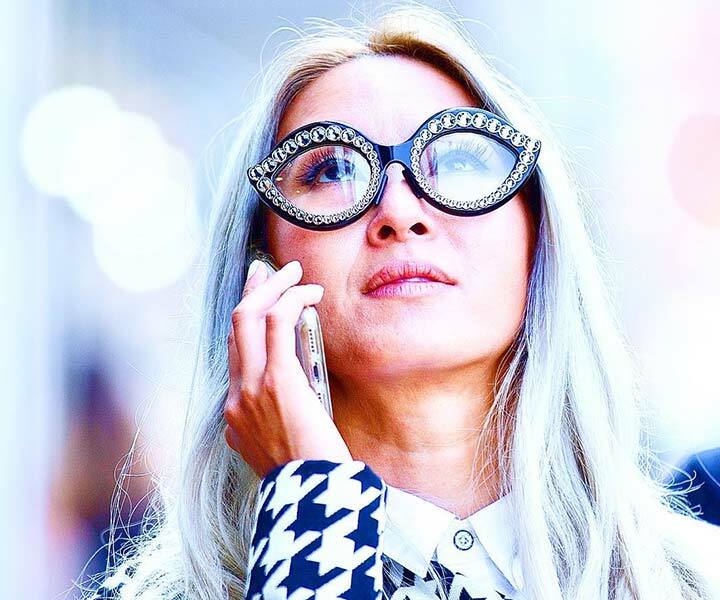 This is Alessandra, fashionable Otticanetter, and I am carefully following all the latest eyewear trends showed in New York, London, Milan and Paris fashion weeks. They are so cool! Not only on the runways. Street style is always the star and it’s an incredible challenge! Let’s start our journey with the fashion influencer, as well as new bride, Chiara Ferragni. She had her picture taken with her sister Valentina. Chiara wore a bright shiny and sparkling dress: a simple and basic model as the classic Ray-Ban RB 2140 is the right choice. Chiara is the best, as always! Straight from New York catwalk, Kate Spade introduces in her hometown oversize acetate sunglasses in light and soft colours.In spring pastel colours are the finest! The popular model Saint Laurent SL 207 Jerry is much more aggressive. You can see it here in Its white version in a total white look and it stands out! 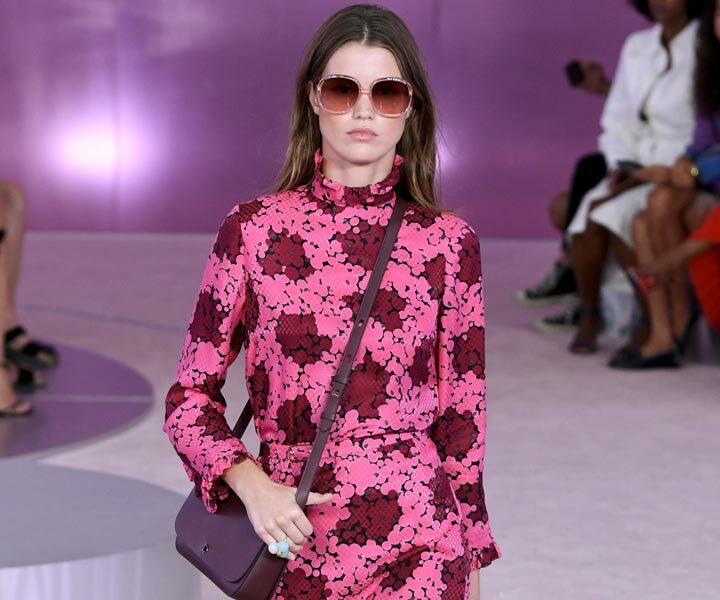 In the same way, the quirky model Gucci GG0045S, that is designed as sunglasses at first, here comes as an optical frame with clear lenses. It’s so cool! Let’s go on with a super trendy frame: this fancy Cazal with its masculine and oversize shape becomes the best part of the outfit. Male accessories are definitely women’s favourite! One of the most anticipated celebrities, Bella Hadid arrived in Milan with her colleague Kendall Jenner and her sister Gigi. They walked together on the runways in the fashion capital. 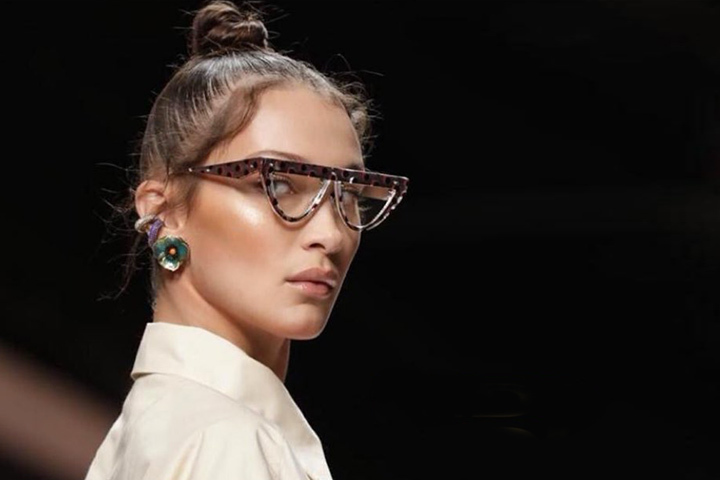 Bella wore Fendi triangle-shaped eyeglasses that frame her beautiful face perfectly. And what do you choose? Street style or catwalk? 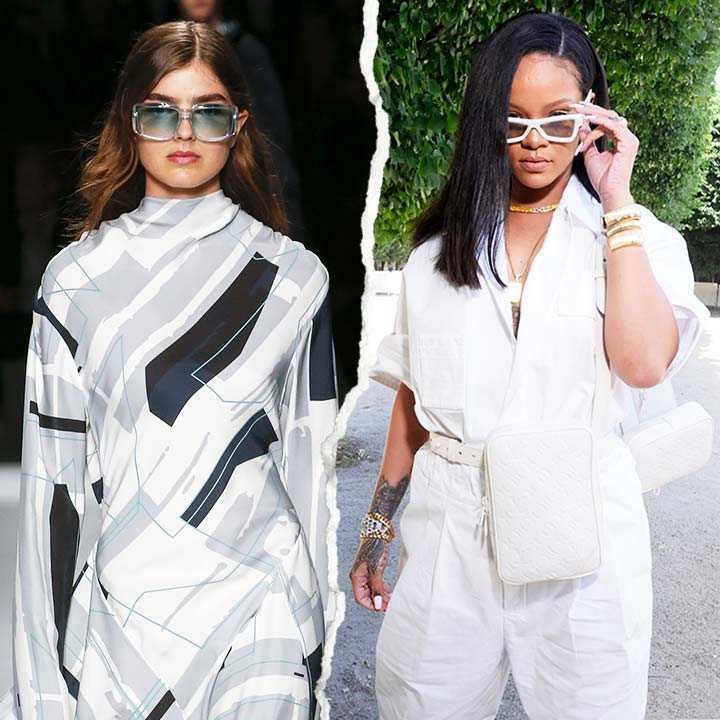 Get inspired by fashions weeks and find your style on Otticanet!